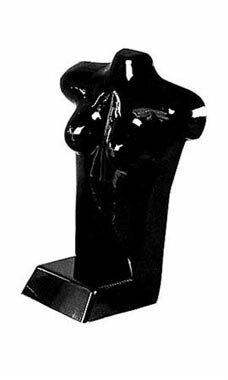 Black Economy Woman’s Self Standing Form is an economical and effective way to showcase your merchandise. The fashion forms are very flexible and feature a shiny finish that accentuates the details and allow it to be visually appealing. The form is made from shatterproof plastic and features a half-round, open-back plastic shell that allows clothing to be pinned and synched. Fashion forms are easy to dress to display top merchandise.